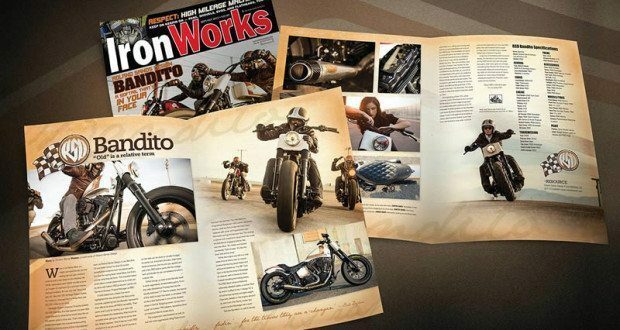 It is with some sadness that I write to inform you that Hatton Brown, the publisher of IronWorks, has decided to cease publication of the title after 24 years, effective with the March 2014 issue. Some of you may have learned this news as it was “leaked” and I apologize if that’s the case. It’s not what I would have chosen. As much as this represents the end of an era for the IronWorkers, it also presents an opportunity for us to express gratitude for the fulfilling work we so enjoyed and the great times spent among you, our friends in motorcycling. You allowed us to tell your stories, showcase your craftsmanship and peek behind the counters in your shops. We appreciate your support of and interest in IronWorks over the years and prize the friendships that have been forged. I speak for the entire staff when I thank you for the many entertaining and enriching experiences IronWorks enabled. That said, I do regret not being able to follow through on some editorial plans. We’re doing our best to find placements for promised articles that remain unpublished at this time. If you are an IronWorks subscriber, you are entitled to a refund for unfulfilled copies. You may contact Hatton Brown directly or drop me a note-about this or any other concern. And do visit our new Facebook page for Iron Trader News. We’re reviving the original title that predates IronWorks to continue bringing dependable, intelligent information to bike riders everywhere. Thanks for your interest in IronWorks. It was a great ride. Thank you for publishing the article about Tim Gueswel and his Grandfathers Harley. I live in Ft. Collins, CO and would like a copy of your last issue. Where can I find one? I bought my first Harley last year when I turned 70. It has always been my dream to own one. Thanks again for taking the time to interview Tim and printing the article. I think you’ve got the wrong site. 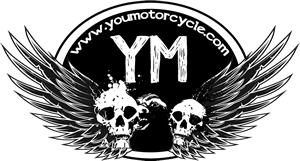 This is YouMotorcycle, not Ironworks.